MIAMI (30 de noviembre, 2018) – El cantautor argentino/venezolano, Ricardo Montaner otra vez nos sorprende con una nueva canción inédita. “¿Qué Vas a Hacer?” es el primer sencillo y una muestra de lo que será su próximo álbum de estudio, pautado para el 2019. 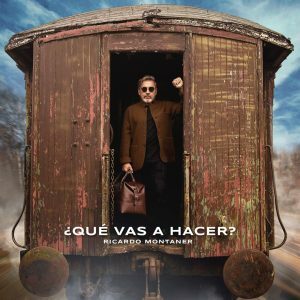 MIAMI (November 30, 2018) – The Argentine-Venezuelan singer-songwriter Ricardo Montaner gives us a delightful surprise today with the premiere of his new material. “¿Qué Vas a Hacer?“. The song is the first single from his forthcoming studio album to be released in 2019. This single and video are available now from all digital-music platforms via Sony Music Latin. Keeping Latin pop’s quintessential poetry alive while incorporating textured percussion and horn arrangements, Ricardo Montaner has done it again with this stylish, ultramodern ballad that promises to be a massive hit. “¿Qué Vas a Hacer?” is co-written by Ricardo Montaner, along with his longtime collaborator Yasmil Marrufo, and the young talents Camilo Echeverry and Marco “Tainy” Masis, who co-produced the song with Montaner. Directed by Marlene Rodríguez Miranda, the song’s music video is the highest-budgeted production of Montaner’s extensive career. It stars two of South America’s biggest stars – the world’s #1 streaming artist and urban superstar J Balvin from Colombia, and Argentina’s most renowned singer and actress Lali Espósito. Despite their fame as recording artists, on this video these attractive and sensual talents simply let their acting speak for itself. With her trademark craft, Rodríguez Miranda adds nuance and feeling to this song’s lyrics and the small details of a relationship. The scenes of these artists are interspersed with images of a historic railway station from which Ricardo Montaner embarks on a solitary and introspective journey. It’s a visual delight for every Latin-music lover. Collaborating with different artists, writing songs, constantly performing to sold-out venues and undertaking humanitarian projects, Ricardo Montaner is the hardest-working singer in the industry. He always gives his followers the best of his artistry, both on his albums and in his live performances. 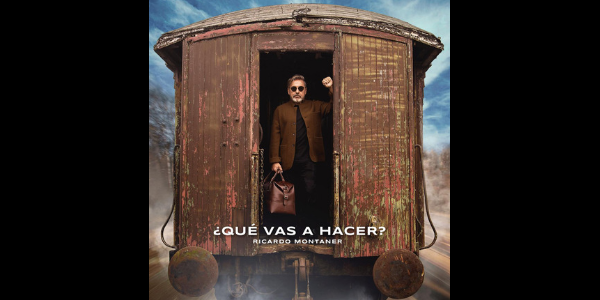 And “¿Qué Vas A Hacer?” is no exception…enjoy this innovative song and video by the legendary Argentine-Venezuelan artist.